What are our designs telling users to do when we bury a 12px font-sized river of text in a sea of animated banner ads, sensationalist flat belly links, and fixed positioned social sharing widgets? In my mind, if users leave they’re just doing what the design told them to do because all the crufty noise linking elsewhere is the most engaging thing on the page. 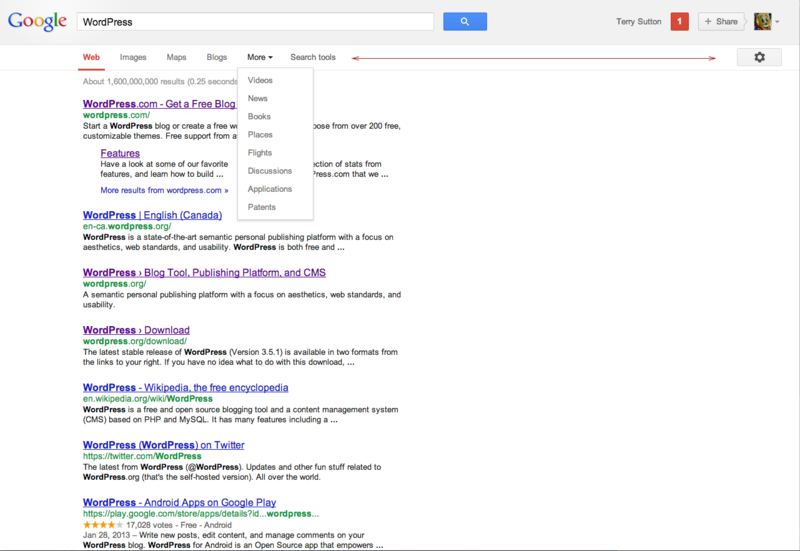 The latest Crome Canary comes with a few minor tweaks to search interface. The missing search bar being the most notable. The most interesting thing for me is the search menu (Web, Images, Maps, and eventually, More). It’s interesting because there’s room on that bar to fit more (between “Search tools” and the gear icon way over to the right) , but Google has opted for sparseness and hidden all the rest in a menu item. There’s so much room for less in everything we design. Let’s avail of it. We all benefit from better design. The last line of this tweet hit me right in the face today. We all benefit from better design. I guess I’ve never really thought about it before, but “modern design” or a “modern aesthetic” is like a fluid, always-moving glacier. New stuff and old stuff constantly grind against it, and somewhere in the middle there’s a loose convergence of colour, style, shape, feeling, experience. What excites me about this most is the weight it lends to a new design of your’s. When you present a prospective design to a client or boss, and they hate it because it’s “grey” or because it’s “boring” and “flat”, you can point them to something huge like Google and tell them to get with the times. This excites me quite a bit. After a few weeks of planning, photographing and coding, Matthew and I launched his new site this week. Built with WordPress, the wonderfully extendable HTML5 theme, Toolbox from Automattic, and featuring Backstretch, a jQuery plugin from Scott Robbin, to make the backgrounds flex and stretch across the screen. The site has already been picked up by Design Fridge and The Best Designs. Lets just hope some of the flood of new visitors are music fans!